Baby Juie has barely learnt to speak but is already fighting the biggest battle of her life. She has eye cancer which has blocked her vision in her left eye. If not treated, Juie faces the risk of completely losing her eyesight. She needs chemotherapy at the earliest to stop the tumour from spreading. "We knew something was wrong with our baby, but never thought it would be cancer." Juie was 8 months old when her parents noticed something wrong with her left eye. 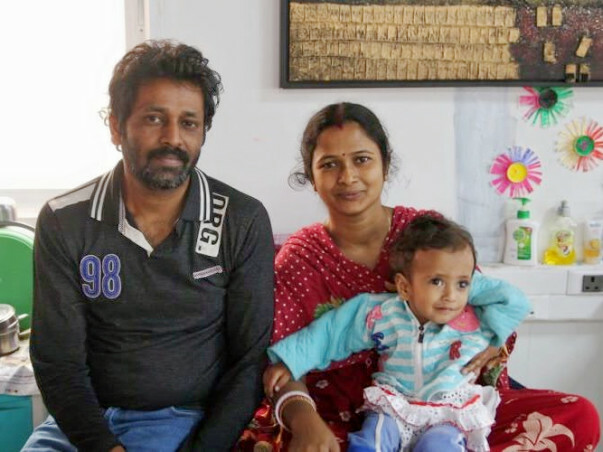 They immediately took her to the doctor who then advised them to take her to a bigger hospital to get treatment due to the rarity of her condition. “We didn’t know what was wrong with her then, but we noticed that there was something different about her left pupil. We took her to many doctors before her condition was diagnosed as cancer. We were so worried. We had never imagined for things to turn out this way." Juie was diagnosed with Retinoblastoma, a rare form of cancer that rapidly develops from the immature cells of the retina. 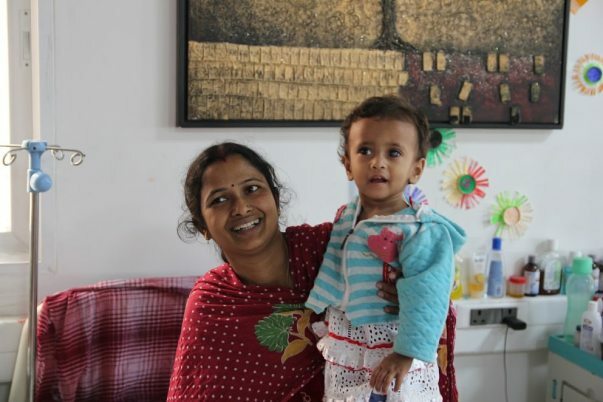 Devashish took her all the way from their village near Calcutta, West Bengal to Bangalore for further scans and tests. 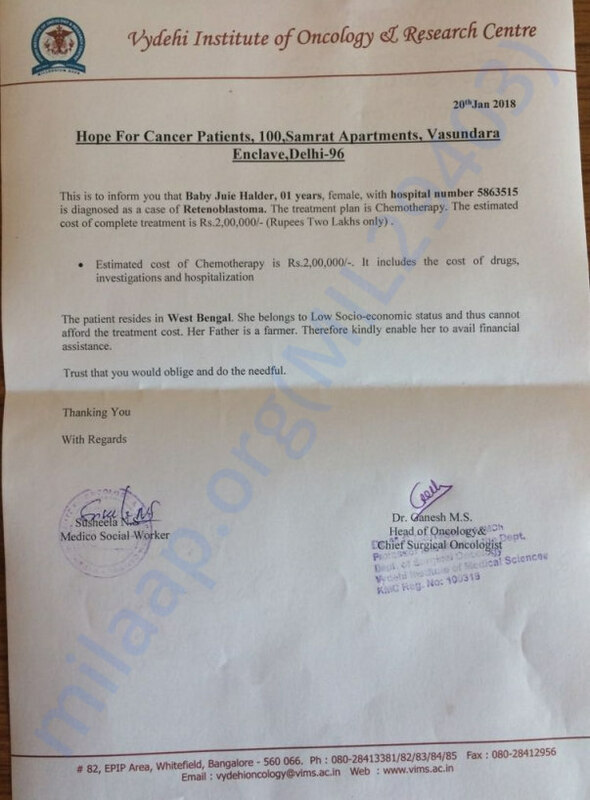 The only solution for Juie’s condition is chemotherapy. Juie now spends most of her time in the hospital, undergoing scans and blood tests. Every time Devashish carries her into the hospital, she becomes uncomfortable. She is petrified of needles and cries at the mere sight of them. Juie can be free from all this soon with chemotherapy. However, her father doesn’t have the means to afford her treatment. Devashish has a small tea stall in his village and earns a meagre amount. Even though money wasn't abundant, his family was getting by with whatever little they had. While they had experienced financial hurdles earlier, they had never imagined that their life would be struck with so much sorrow. Juie needs to undergo the treatment at earliest to save her eyesight. She has her entire life ahead of her, but cancer is slowly taking away her chance of a future. Her family’s financial condition is making it very difficult for them to provide for her treatment. Juie has retinoblastoma, a rare form of eye cancer. The tumour in her eye is blocking her vision, and she needs chemotherapy to see again. If delayed, Juie might lose her eyesight to cancer. Her father owns a small tea stall in their village near Calcutta and doesn’t earn enough to pay for her medical expenses. He is desperately looking for help. Your support can save Juie's sight and life. 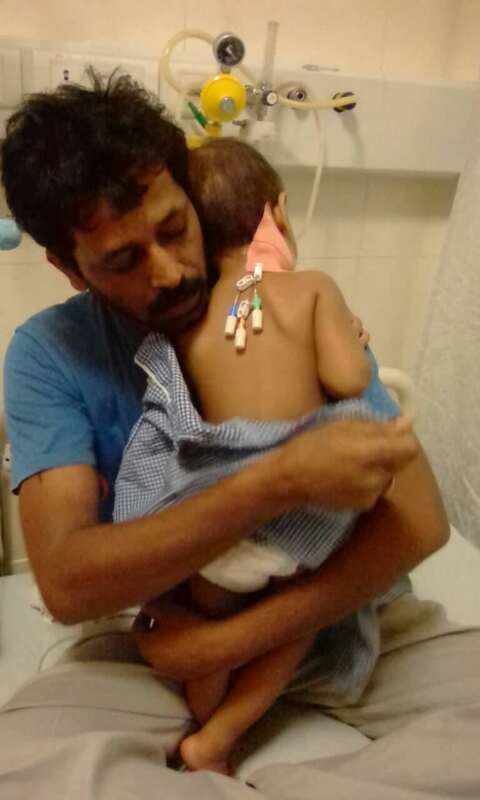 Baby Juie is under treatment right now she has taken 6th chemo in 26th June 2018. According to eye’s Dr. “she is better but she needs left eye operation.” She needs your wishes . Baby is under treatment right now she will take 5th chemo in May 2018. Her MRI is done on 27th March and eye check-up on 29th March. According to MRI her eyes is a little better but she needs operation after 5th chemotherapy. She needs your wishes and prayers. Thank you for the wonderful support that you have shown towards baby Juie. She has successfully completed the second chemotherapy cycle and will be starting the third cycle soon. The doctors have advised her to undergo an MRI scan to decide the future course of action and she will be getting the scan done on 24th March. She is also undergoing treatment for her eye and the next eye check-up is scheduled on 28th March. Thank you all once again for all the love and support. Would request you to please share this campaign further with your friends and family. Do pray for her health and speedy recovery. Will keep you posted as soon as we hear anything further from the doctors. Dear Juhi, I pray to god to bless you speedy recovery and strength and good health. Get well soon.